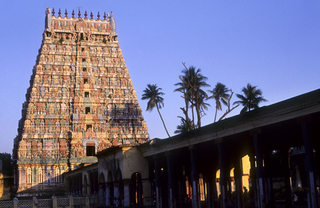 An interesting episode took place during Swamy Ramanuja’s time at Srirangam . One day a kainkaryapara ( temple servant) was murmuring in front of the thirumadapalli (temple kitchen) of Srirangam temple in a strange way . Amused by his speech many onlookers and devotees assembled there . Acharya Swamy Ramanujar was proceeding to temple from his Ashram . Looking at the huge gathering near the kitchen , Swamy enquired what was the reason for this gathering . A disciple came forward and replied that a kainkaryapara ( servant ) was dejected for some reason and hence he was murmuring . Swamy Ramanuja instructed his disciple to call him . Pleased with Acharyar’s invitation the kainkaryaparar introduced himself as a servant of the temple and offered his humble obeisances . Swamy Ramanuja asked him why was he dejected ?? He submitted , Swamy !! 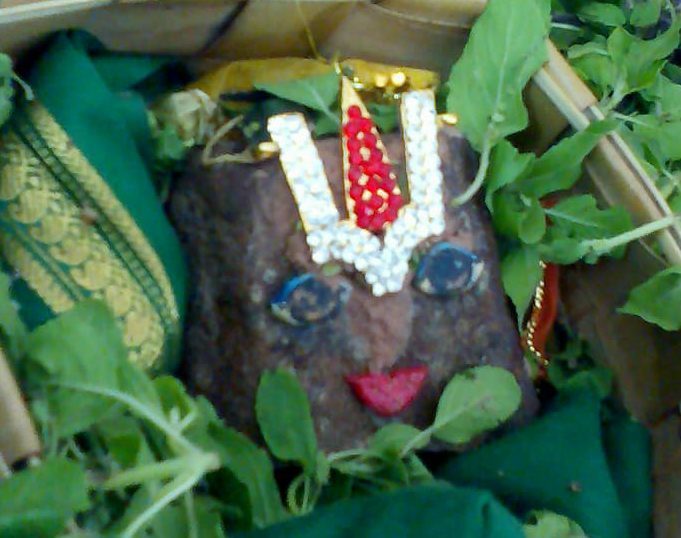 adiyen was content with Lords prasadam which was taking care of him and his family past few years . However , now that his family has increased in size the prasAdam was insufficient to feed his family members . This was due to addition of few relations who joined him forever . Unable to cater their needs adiyen was upset . It was my small request to enhance the prasadam share for my family too . Swamy Ramanuja patiently heard his petition looked at him with compassion and asked him if he believed in Lord Namperumal. The servant politely replied , Swamin !!! 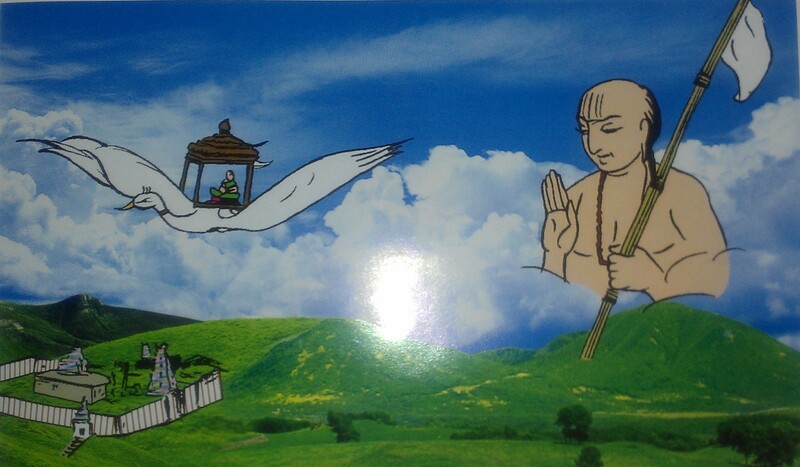 Adiyen has trust in Acharyan Swamy Ramanuja more than Perumal ( Lord himself ) . Swamy advised him to stay in his place as he was residing and continue with his work . He said that the prasad shall reach him for sure . This was told by Acharyar very casually . After some days he met the same temple servant on the banks of river kAveri in front of a small hut. 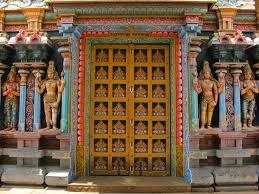 The temple servant rushed amongst the onlookers and offered humble obeisances to Swamy Ramanuja. Acharya recognised him when he offered obeisances . My child !!! how are you and your family members . The temple servant pleased with Acharyar speaking to him directly was overjoyed . He replied with enthusiasm that It was Acharyars mercy he and his family members are very happy , and by the grace of the Acharyan and Lord he was content with the prasAdam being delivered daily by his disciple . Swamy Ramanuja surprised to hear this , enquired with the disciples as he was not aware of appointing someone for the same . With confidence the servant said Acharya !! 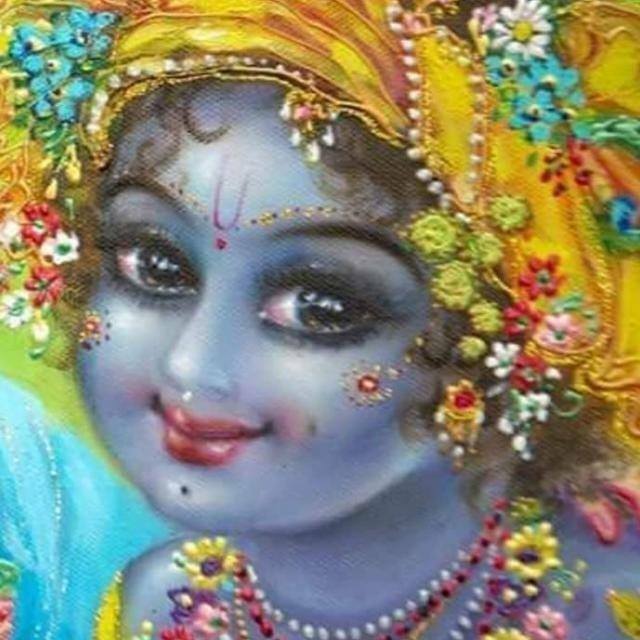 It is Rangan the smart boy who was prompt to serve us the prasadam daily and your disciple was kind to brave even the rain to serve us the Prasad many many times . Swamy Ramanuja , after enquiring in detail realized that the person Rangan who was doing this job was none other than Lord ( Periya perumal) himself. Tagged Srirangam temple servant, Swamy Ramanuja and the temple servant, Yogakshemam vahanmyaham"
Next postAssociation with elders, scholars and pious people will result in brahmanubhava. The Parrot’s story…………. Thanks for sharing the story “Yogakshemam vahanmyaham”..The story was as if I got the Prasadam from the Lord himself. Hari Om! Perumal is very particular to keep up the words of Ramanuja the Saint! Adiyen Ramanuja dasan! Jai Sriman Narayana! Lord had come to keep up the words of his devotee (as Swamy Ramanujar told the temple servant that he will get his prasAdam without fail directly at his residence …This is how LORD also keeps up his words “Yogakshemam vahanmyaham”. Very much pleased of ur praise of our acharya nd God through true stories which r very precious not only for elders but also for children to bring them in traditional way.thank u for ur service honorable scientist. This episode from Yatiraja’s life reinforced my faith in Srimannarayana. Sir, I would request you to grace my facebook group ” Srimannarayabhakti Samvardhini Goshthi https://www.facebook.com/groups/342709072592619/ with your sacred presence. I shall be obliged. Once again, a story I had not heard of. Thanks. Glory to Ramanujacharya and Namperumal!